Award-winning Ecuadorian filmmaker Sebastián Cordero is a master of contained, psychological thrillers and a lifelong science fiction fan. His first English-language film, Europa Report, is a unique documentary-style sci-fi thriller that follows an ill-fated mission to Jupiter’s icy moon Europa to investigate the possible existence of alien life within our solar system. 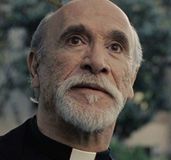 Opening August 2nd, the film features an impressive international cast that includes Daniel Wu, Sharlto Copley, Christian Camargo, Karolina Wydra, Michael Nyqvist, Anamaria Marinca, Embeth Davidtz, Isiah Whitlock, Jr., and Dan Fogler. 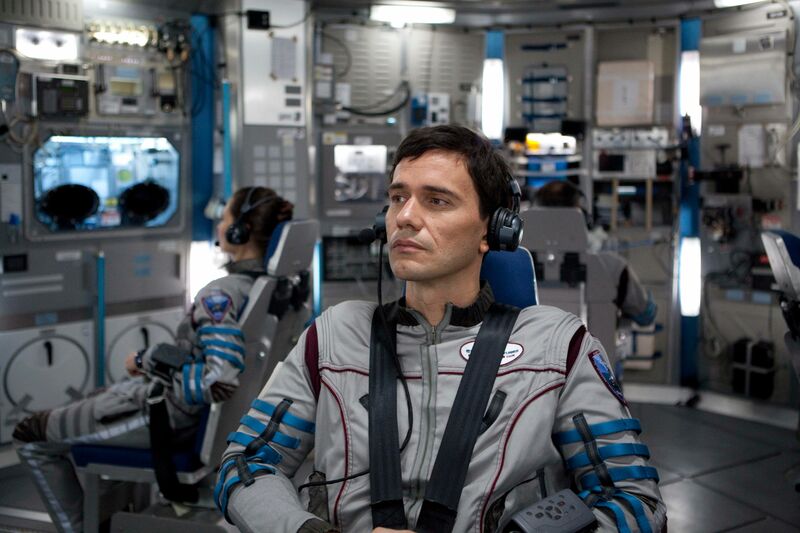 In our exclusive interview, Cordero talked about his early interest in sci-fi, how Crónicas led to directing this, how casting director Avy Kaufman opened up a lot of possibilities, how he consulted with the Jet Propulsion Lab and Space X on the ship’s design and ensured the film was grounded in realistic science, his collaboration with DP Enrique Chediak and production designer Eugenio Caballero on the film’s visual style and with Bear McCreary, Tom Efinger and Abigail Savage on the music and sound design, his thoughts on deep space exploration and life beyond our planet, the upcoming project he’s developing in Ecuador, and how he’d like to do more in the U.S. if the right opportunity came along. Hit the jump to read the full interview. Question: How did you get involved in this sci-fi thriller? What made you say I’ve got to make this film? How does the finished film compare to what you originally envisioned? Cordero: It’s interesting because it’s been a long journey and there were a lot of changes along the way, but I feel that the essence of it is very close to what I originally read and what I pictured in my mind. It’s strange because the process of making a film is always there are big changes along the way. Recently, I spoke with Anamaria (Marinca) who plays Rosa. She was in Romania and she had just seen the final copy of the film. She was so thrilled because she said, “It’s rare that I watch a finished film, and I do feel that that it was faithful to what we talked about on the first day.” To me, this was a huge compliment and I was very happy to hear that. But yes, it changed a lot along the way, even structurally. The non-linear structure is something that was found during post-production. The documentary element was there in the script, but we explored quite a bit of going and putting in more of it and less of it. 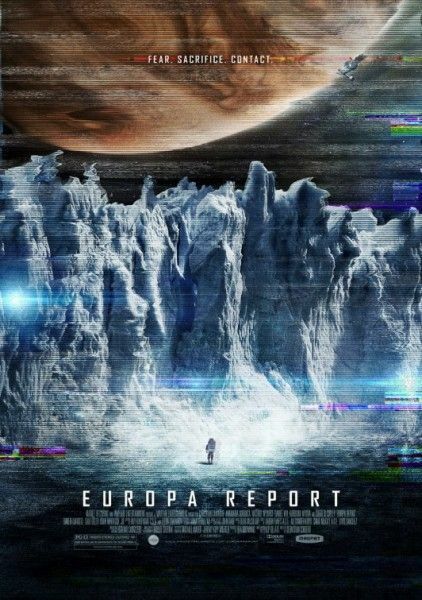 Even the way it was shot, there were a lot of things originally in the script that needed to be adjusted, both in order to work with the fixed cameras and the found footage element, as well as being faithful to what we know about the science of space travel and Europa. Was there any special research that you did for this? I understand you visited the NASA Jet Propulsion Lab and Space X? Cordero: Yes. We did a lot of research. For me, I felt I had a big responsibility on my shoulders, and the way to handle it would be to try to know as much as possible about the topic. So, together with Eugenio Caballero, the production designer, we did a lot of research in terms of what would eventually lead up to the design of the ship and how it would all work. We were lucky enough to have two key scientists helping us with the project who were really passionate about what we were doing and who had a lot of hopes that the film would depict science properly. They were Kevin Hand and Steve Vance from JPL. I remember when we started pre-production, the first trip we took here, to L.A., was to visit JPL which was an incredible inspiration. We also went to visit Space X which was also amazing to see how they were building those rockets. What I found is, in the science community, there are a lot of people who are obviously huge science fiction fans. It’s very close to their heart. But very often they get frustrated by the fact that many science fiction films drift away from the hard science just for the convenience of the story, which is very tempting at times. It’s also disappointing when that happens, when you’re watching a movie, and suddenly both the rules that the movie itself set up are broken or sometimes the rules of common sense or the rules of science. To me, there was a big responsibility involved in that and we investigated. In the end, we probably talked to over 20 or 25 scientists, overall marine biologists, in order to design or to explore the possibilities of what could be under the ice in Europa’s ocean — just a lot of people who were really open to give us advice. In the end, it was really gratifying when they saw the finished film. The other day at the screening at the LA Film Festival, Steve Vance, one of the JPL advisors, was there. He told me that everyone from the Europa team had seen the film and they all loved it. For me, that’s very, very nice. How did you convince such a talented global cast to be a part of this? Did some of it tie into the financing of the film? Cordero: Some of it did, but I feel I was very lucky in that sense because we didn’t need to have a huge star. From the beginning, we talked about having great actors from all over the world. The script had already been written as such. There was the Chinese commander (Daniel Wu). There was a Russian astronaut who eventually was played by Michael Nyqvist who is Swedish. We felt we could assemble a terrific cast of great thespians, great actors, whom you would not normally see together. I was also very lucky to work with a great casting director, Avy Kaufman, who’s a real visionary in terms of putting a project together. She opened a lot of possibilities for me. There were several people that I had in mind before that I thought would be terrific, and she encouraged that, and she also helped me reach people who would be great. The first person who came on board in the cast was Michael Nyqvist. He read the script, and he saw – I don’t know which one of my movies – but he saw one of my movies and he was just into the idea of it. 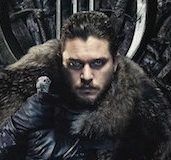 Having him on board also helped bring on some of the other actors. 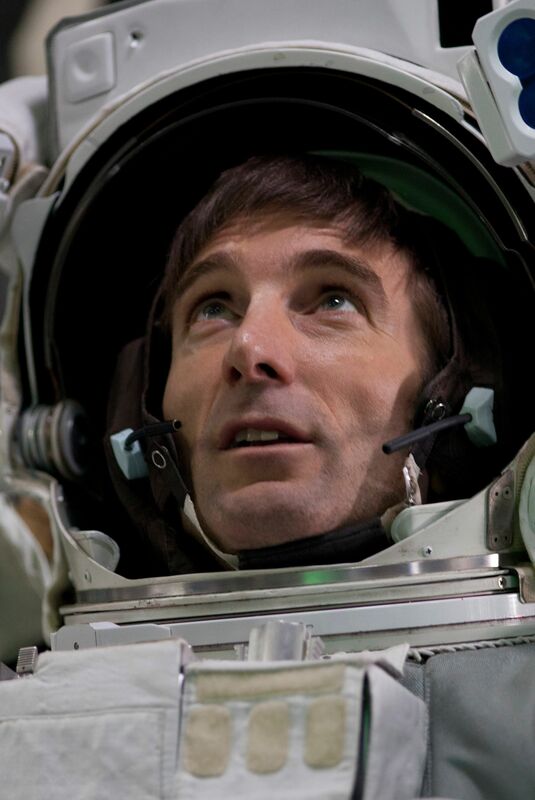 I know that Sharlto Copley was really excited about working with Michael. Of course, sci-fi and space travel is something that interests him naturally, but that helped. Anamaria Marinca, the Romanian actress, I’ve been a huge fan of hers since I saw 4 Months, 3 Weeks, 2 Days, which I think is an amazing performance and an amazing film. When I read the script, I immediately thought of her. For some reason, I know that here in the U.S. she’s not so well known, but I hope she will be with this more. I thought that she would actually be very hard to get because this didn’t feel like it would be a parallel to the type of thing that she’s done. 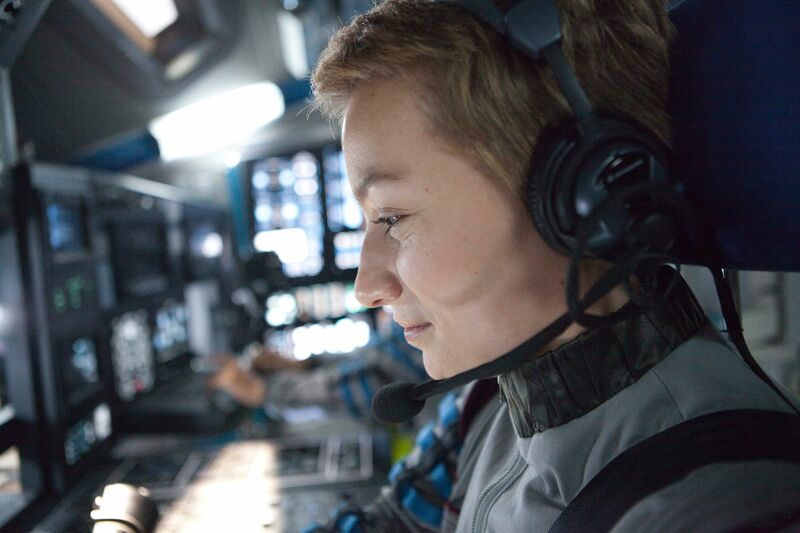 And when she read it and we spoke for the first time, she was so thrilled to be doing something that was completely different from what she had done before – to do a science fiction film, to go on a space journey. It’s amazing how much people are fascinated by space and by the possibilities of this. I mean, people took it very seriously. The film has Chinese financing as well, so Daniel Wu from China was, for instance, one of the requirements, but which made perfect sense. We needed to have someone from China. It’s funny, because China is a different world altogether. Daniel Wu in China is a huge star. But here, if I’m not mistaken, this is his first English-language film. For him, it’s great to be coming back and doing it, because he was born in the U.S., but he is from Chinese parents. Very early, when he was in his early twenties, he went back to China and just hit it big by coincidence almost. It’s great to have him. He was also a terrific element in the cast. You had a great creative team including production designer Eugenio Caballero from Pan’s Labyrinth who designed the space ship and DP Enrique Chediak, both of whom you’ve worked with before. 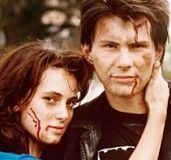 Can you talk about their contributions to the look and style of the film? Cordero: God! It was a challenge! All the films I’ve done before have always been on location. This was the first time that I was building something for a film. First of all, having Eugenio Caballero, the production designer, on board was really terrific. We’ve worked together before on two previous films, but this was a completely different animal. This was starting from scratch, finding the logic behind the ship, finding all the elements, being faithful to what NASA has done, what people are familiar with, but at the same time feeling that it is innovative and that it makes sense. Besides the aesthetics behind the movie, there’s a lot of problem solving involved in designing a set like this. He did an amazing job solving those issues. It was wonderful. One day on the set we had a famous astronaut, Mike Massimino, who appears in the Hubble 3D documentary and the space walk there, and we had consulted with him about the space walk for some things. He came to visit the set. At one point, he pointed out a couple of little details, saying, “Oh yes, when we were up in space, we used to sleep in the place where the spacesuits are hanging which is a little closet.” It was really emotional to see him connect to what he was watching on the set, so I felt we had done something right at that point. 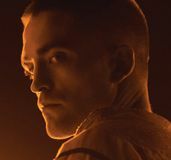 With Enrique, the DP, the huge challenge was at first, when I first proposed, “Let’s do this film together,” I thought he was going to say, “Well, I’m not sure because it’s all fixed cameras that are not going to move anymore.” Basically, he said, the logic behind where each camera is shouldn’t be an aesthetic logic. It should be a scientific monitoring logic. Why would this company put the camera here? What do they need to monitor? What do they need to see? It’s interesting, because when you change your mind set to putting the cameras that way, suddenly the film acquires a different language just organically. That was actually something that really attracted Enrique. He said, “It’s great. I’m not moving my camera. I’m not pushing in to reveal when a character becomes aware of something. If we need a close-up, then the staging needs to work so that we get to the close-up naturally, which is a huge challenge. It’s also a challenge for the actors for that to happen organically, but it’s really interesting. What’s cool is that usually within the found footage genre, what we’re used to is hand-held camera, very shaky, very degraded, and all looking very amateurish. And here, it had to be very scientific, crisp, clean, immaculate, and gradually it degrades as the ship itself degrades or the cameras start failing. It’s a different aesthetic, a different look, and what can happen off-screen or with characters being cut off. It’s actually where I think the more interesting things start happening, which feel a little bit more random, and where you actually believe more the fact that this is happening for real, that the camera wasn’t put in the ideal place. The fact that sometimes the camera might go out of focus and never go back to focus, that’s a tremendous amount of tension because suddenly you want to see more. You want it to focus and it doesn’t. There are a lot of things that you can use to add [suspense]. It’s almost like you have a different bag of tricks than normally you would, and the usual ones are gone. You can’t count on them, but what you can have with the other tricks, the other tools, is actually really cool. The music and sound design are also amazing because of how well the two are integrated. Cordero: Yes! That was a tough call because at first, because of the found footage element, we felt we weren’t sure if the score should be a traditional score or not and how it should play. Having Bear McCreary work on the film was a huge blessing because he manages to put it all together and elevate it. It’s funny because it’s a very musical film. There’s a lot of music throughout the film and it’s combined with this great sound design of all the sounds of the ship and the interior of the ship. It’s very complex. There’s a lot of layers, a lot of things going on, and at the same time also the notion of being very respectful of not having sound where you shouldn’t have sound when you’re out in space. But at the same time, you do have the astronauts’ microphones. For instance, there were a lot of really cool challenges in terms of, okay, during the space walk, do we do Foley? Do we do sounds of the objects touching things? The logic was okay, inside the spacesuit, it should be muffled if someone touches something and you should still hear it. So it still would help emotionally, but it shouldn’t be a crisp, nice, noticeable sound. There were a lot of things that we gradually developed. The guys behind the sound team, Tom Efinger and Abigail Savage, they did an incredible job. What’s cool is that a lot of these people came more from a different film world, more from an independent film world, and they were just thrilled with the idea of being able to do a sci-fi. Suddenly it opened a new world for them. Cordero: I have a project back in Ecuador that I’m developing right now to shoot early next year ideally (Sin Muertos No Hay Carnaval). In my career, I would love to be able to go back and forth. There are a lot of stories that I want to tell that are set in Ecuador. I’m from there and I think there’s such a richness of stories to be told. But at the same time, I’m also very attracted to what can happen here and I feel that I was very lucky. In a way, I feel much luckier having started my career in the U.S. with a film that’s very unusual. I mean, it’s sci-fi, but it’s not your typical sci-fi. It doesn’t fall into a traditional studio movie. In a way, that’s much more interesting as a filmmaker. I’m not just trying to follow a pattern. I did something that for me was unexpected and that I think people are also getting surprised about. I’m definitely looking forward to doing something else here, but I feel that it also has to be the right project. I don’t have a big offer on the table at this point. Who knows? It might happen soon, and I have to be very careful about what that film could be. I don’t want to fall into just something generic. I feel that it should be something challenging, something that really grips me. Definitely we’ll do more films here, but when the time is right and the project is right. 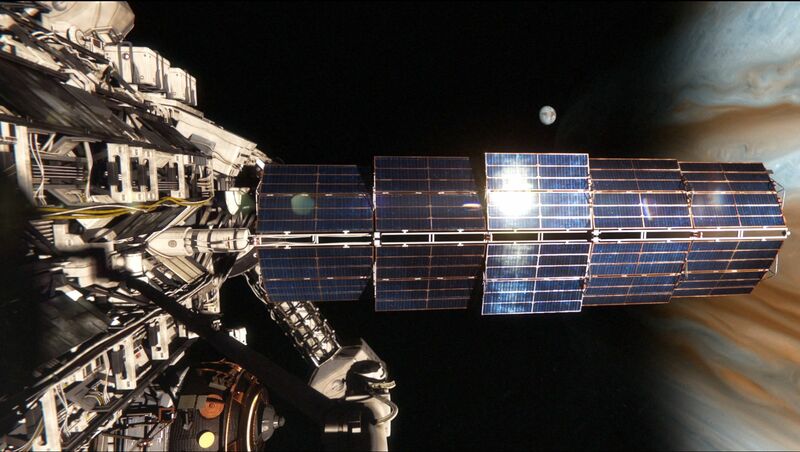 What are your personal thoughts on deep space exploration and life beyond our planet?